The separate governing bodies of Rotherhithe Primary (RPS) and Dog Kennel Hill Primary (DKH) agreed in December 2017 that the two schools would become a federation. The result of this was that, in January 2018, the two schools – under the executive headship of Mrs Galiema Amien-Cloete – formed one joint governing body and agreed to call itself the River Hill Federation. Both schools have kept their separate names and identities, and each has a head of school, but they work in partnership to share resources and best practice to give all the children the best possible start in their educational life. 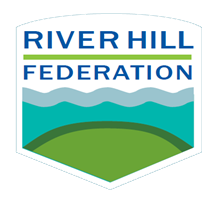 The role of the River Hill Federation governing body, like all school governing bodies, is to ensure that both schools deliver high standards of achievement within a broad and balanced curriculum for every child. All the governors sit on one of two committees – resources, or curriculum and standards. Some have a specific area of oversight and are known as link governors. To find out more about what a governor does, CLICK HERE. Mary has been a parent at DKH since 2012. She was a governor at DKH from 2014, and has been on the governing body of the River Hill Federation since its formation in 2018. Mary works as a freelance user experience researcher with a range of government and private sector clients and has a background in psychology..
Chris is a co-opted governor. She joined the governing board of Dog Kennel Hill in July 2016 and has been on the River Hill Federation’s governing body since its formation. Chris brings a wealth of experience and knowledge about children’s emotional health and wellbeing. She is a mental health nurse, working locally across a number of adult and child mental health services. For some years she worked in a safeguarding role in a local mental health trust and the local children’s social care services. Chris also has experience of managing a range of teams as well as development of new services. Ray was a governor at RPS from 2009 and its chair of governors from 2011. He was also the Federation’s first chair of governors. Born in Rotherhithe and raised on a south London council estate, Ray trained as an engineer before going on to run a highly-successful telecommunications firm. Since retiring he has studied for a law degree. While chair of governors at RPS, he helped take the school from Notice to Improve to Good. Dominique is a parent governor with two children at Rotherhithe, in Key Stage 1 and 2. She is a freelance designer and project manager and has spent the past 14 years working in retail. She takes a research-based and analytical approach to her work, and aims to apply the same principles to being a governor. Staff governor from DKH, sits on the curriculum committee:Darren has been a teacher at Dog Kennel Hill since 2014 and before that taught at a school in Croydon for 16 years. He has taught nearly all year groups, been a phase leader, co-ordinator for maths and science, and PSHE/RE, and mentored new and trainee teachers. Outside of school, Darren enjoys travelling and got a chance to experience the education system in China during a trip there in 2004. Kofi is a learning mentor with the Safeguarding and Intervention team at Rotherhithe, and has been a staff governor since 2017. He joined the school after completing a fortnight’s placement during his training a few years ago. Outside of school, he is a keen cyclist, an avid traveller, and likes to think of himself as a creative avant-garde. Penny has been a parent at Dog Kennel Hill school since 2012 – with two children now in Key Stage 2 – and was a member of the Friends’ fundraising committee before becoming a parent governor in February 2018. Penny has been a digital journalist with BBC News for nearly 20 years, specialising in world news and covering education issues when she gets the chance. Amir has lived all his life in the Bankside area of Southwark and is committed to encouraging active citizenship and sustainable community development. He currently serves as Executive Chair of Living Bankside, which provides a number of services to the district’s residents. Amir works with many community organisations across the borough and beyond, including Southwark Cathedral Education Centre, Southwark anti-knife crime forum and Southwark peace garden.